Set a range to trail for better entry or exit points, by following prices while they are moving down- or upwards. This way Gunbot won’t trade while prices are still moving in the same direction. 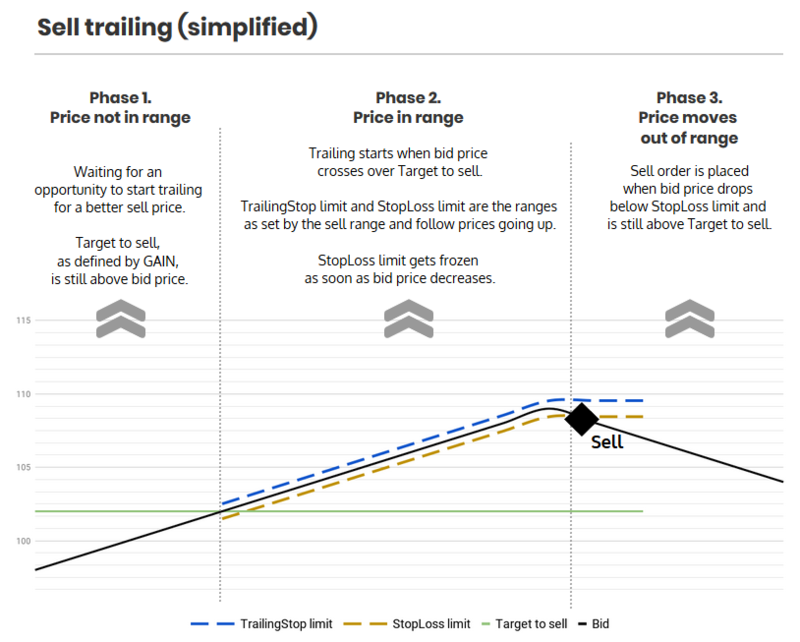 You can select an option to only sell at profit, to avoid the risk of a stop limit sell at loss while you’re still in the initial range around bought price. This is called TSSL_TARGET_ONLY. You can optionally use additional indicators like RSI for extra confirmation on entry and exit points.